Thanks to the relaunching of 2010, now many of us know about this legendary red lipstick that was originally introduced in 1952. This lipstick is probably the BRIGHTEST color that I own. At a glance, it is a bright orange-based warm red, but there is certain amount of pink/neon in it if you take a second look. Nonetheless, this is an amazing red shade although it might not be your everyday red. 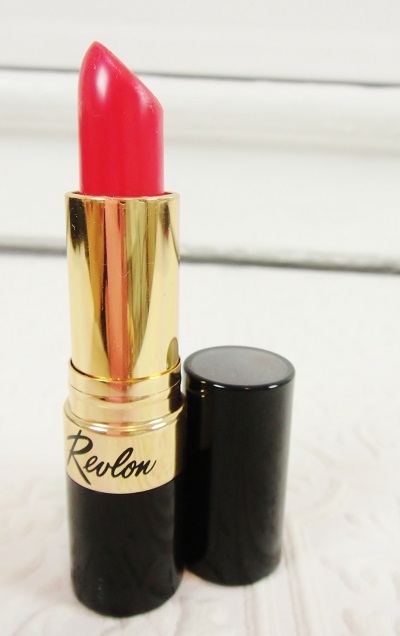 To me, Revlon is a company with reserved force. I know that this company was originally a competitor of Estee Lauder (They just took very different marketing tactics and now stand on very different places. ), but the fact speaks for itslef that they have introduced a shade like this in the 50's and that color still works now. This is definitely a retro red but there is also very modern quality to it (unlike it's sister Cherries in the Snow, which I will do a post soon). The formula is fantastic. very moisturizing and long lasting. The lipstick is pretty. Wow! You are gorgeous. This is a great look for you. I love this look on you! You look gorgeous with red lips. I really like Fire & Ice, and it goes so well with those lashes - the boldness of both the lipstick & lashes really compliment each other! This look is mega hot on you!!! Love it! the big lashes are just perfect with this brilliant shade of red. Very pretty! That lipstick looks great on you, and the overall look is absolutely stunning. This is such a unique red, and it works perfect for you! This is such a beautiful bold red. I love how it looks on you Lena! You look beautiful in your FOTD! My friend really love this particular lipstick. It's so bright and gorgeous! this is very unique and pretty red. it will suit you very nicely. if i wear this during the daytime, i blot it a lot and it looks much more wearable. that one was an LE with retro logo. there are silver packaged on as well. i thinking about buying them as well. they are still available at many places and not that expensive. in real life it looked a bit theatrical even, but i did have lots of fun! You are doll like beauty !! Your whole make up is flawless, I adore it ! You look like a model =) and that shade of red is a beautiful classic ! The lip color looks amazing, I learn something new everyday,didn't have the slightest idea before that Revlon was once on par with Estee Lauder. Yay! I love the lashes on you!! 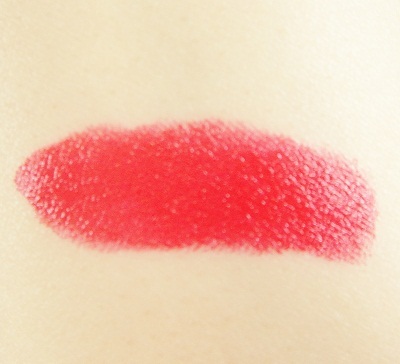 ^^ I really like this lip colour, I have a similar shade but I tend not to wear reds too often. It definitely suits you though. i think i've worn this red out just once or so. other times it was all for playing inside.